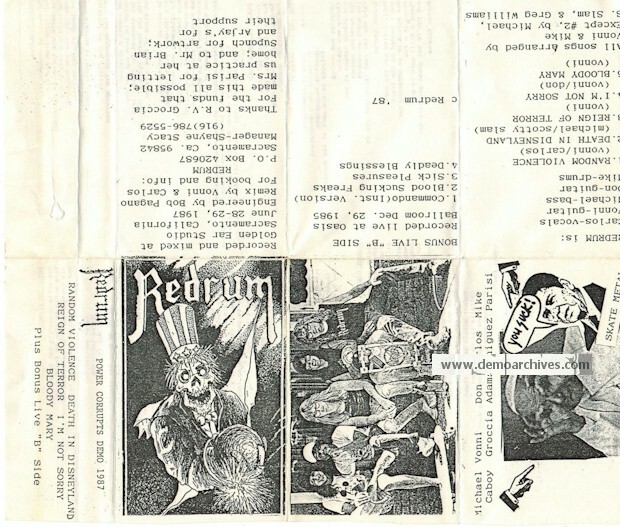 Redrum are a fairly obscure, politically charged, American thrash band that were making some noise in the mid-80’s. Their one album was released in 1989, wrapped in a simple black cover with a red logo and titled "Power Corrupt$". The band plays straight forward American thrash metal with some similarities to Agent Steel, Powermad and Realm. Xeroxed covers. 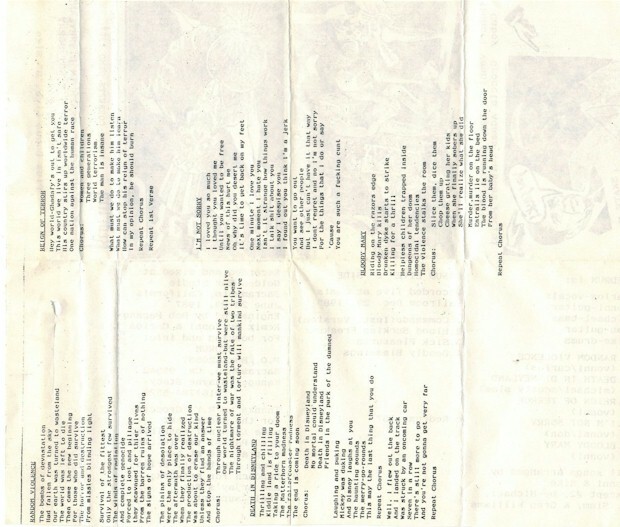 Folds out to A4 size and reveals the lyrics. Tapes were regular cassettes.